Fifty-three years ago President John F. Kennedy was assassinated by Lee Harvey Oswald in Dallas Texas. Despite his many flaws he was an inspiring American hero. Today I am taking the time to remember something that he said that is so lacking in our political discourse today. Some fifty-six years ago a young, handsome Irish Catholic from Massachusetts took the oath of office of the President of the United States. President John F. Kennedy had won an exceptionally close Presidential Race against Republican Voce President Richard M. Nixon, a race that some believe was decided by votes of the dead in places like Chicago and West Virginia. Despite the contested nature of the election Nixon was gracious and conceded the race to avoid deeper division. Fifty years ago today that young President was gunned down in Dealey Plaza in Dallas Texas by Lee Harvey Oswald. It was an event that shattered our nation which helped in many ways to foment the deep and abiding cynicism that is the hallmark of our recent political landscape. The Kennedy administration had a wonderful vision but was not always successful. In fact there were time its policies and actions were in the case of the Bay of Pigs Invasion were mired in controversy. Decisions made by Kennedy to send more advisors to Vietnam would be followed by the Johnson Administration sending combat troops. Kennedy played a high stakes game of chess with Nikita Khrushchev during the Cuban Missile Crisis where the world came perilously close to nuclear war. That being said he also inspired and energized Americans and our Allies to greatness. 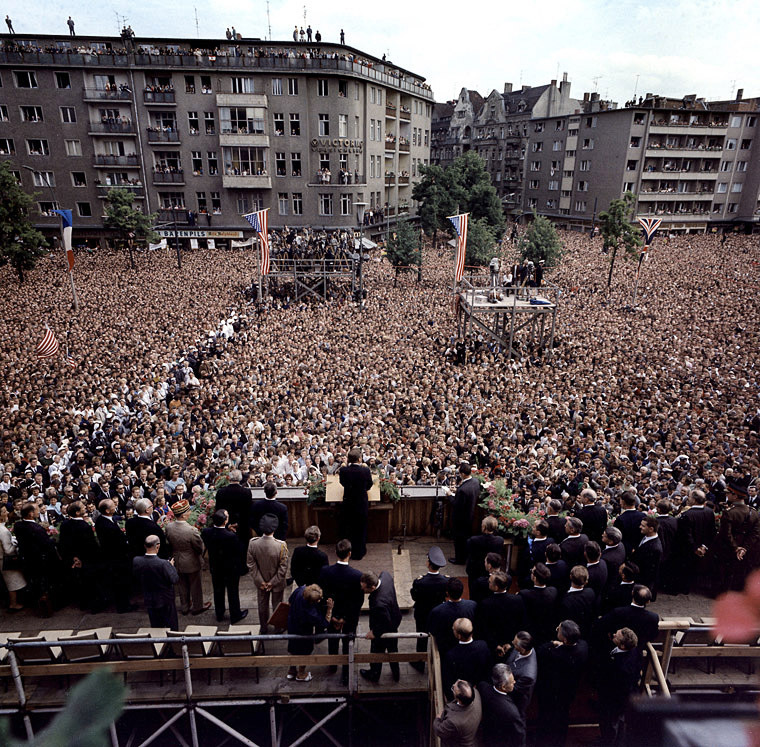 Kennedy’s speech at the Berlin Wall where he identified himself with the city saying “Ich bin Ein Berliner” inspired many in Germany who realized that in Kennedy they had a friend who would not abandon them. Kennedy challenged us as Americans to put a man on the moon by 1970. He supported NASA as they began to develop the Apollo program which did achieve that lofty goal when Apollo 11 landed on the Moon on July 11th 1969. Kennedy was a visionary. He supported the establishment the Army Special Forces, or the Green Berets. 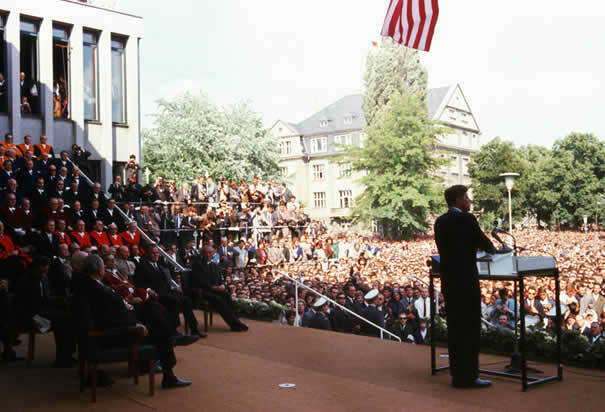 He helped to found and promote the Peace Corps. His economic policies were fiscally conservative but did not ignore the poor. He pushed for equal rights for African Americans against a much divided nation. As I said, Kennedy was a flawed man. A deeply flawed man. I have written about that before. He was not known for his sexual morality and the stories of him with various mistresses including Marilyn Monroe abound. At the same time he was a hero. 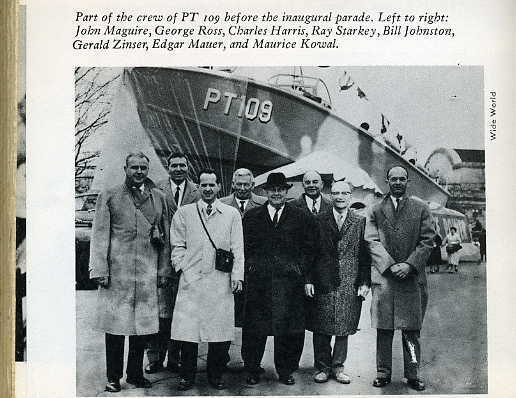 He volunteered to serve on PT Boats in the Second World War when his political connections would have ensured him a billet in a non-combat area and his physical condition would have exempted him from any military service. Kennedy died 50 years ago today. He was the victim of an assassin’s bullet in Dealey Plaza in Dallas Texas with his wife Jackie at his side. His death stunned the nation and in a sense ended our innocence. Since that time American politics has been on a slow but steady descent into darkness which both parties have aided and abetted to the point that they view each other as mortal enemies and along with it have devastated our body politic. In our divided state it seems that the nation has become nothing more than a collection of special interest groups. Each group is driven by their own wants and needs above that of others goaded into a frenzy by politicians who cater to those needs whether they be tax breaks, entitlements or “pork barrel” projects which only benefit the political benefactors of the politicians. 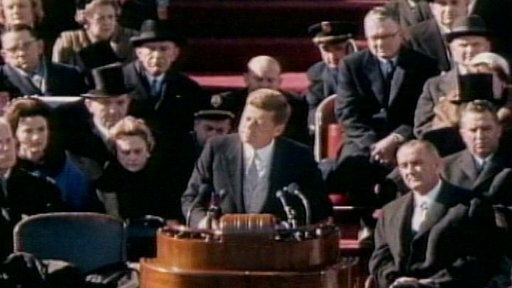 I know that American politics has always had such elements but I don’t think that my parents or those other young people who heard and responded to this speech ever imagined that we would come to this. While Kennedy still has critics and was a flawed man I find him still to be a great and compelling President. He is one of my favorite Presidents in large part because he understood that “civility is not a sign of weakness.” In our current poisonous political environment this is something that all of us need to take to heart, especially people of faith who so often seem to be the least civil and most hateful in our society. Kennedy was one of those rare leaders who called us to better as individuals and as a nation. Today we remember his life and the tragedy of his death. But today I think about his inaugural address. 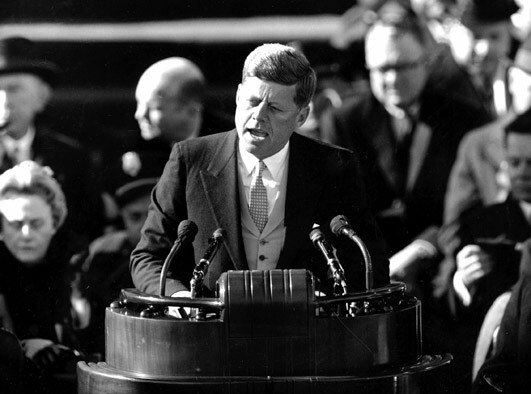 It is a speech that in my opinion calls us as Americans to higher and better ideals. It is a speech that if we actually listen to it can still help point us away from the abyss which we are staring into. I have posted the text of the speech as well as a link to the video of it here. In the hope that we can learn at home and abroad from John F Kennedy. We observe today not a victory of party but a celebration of freedom, symbolizing an end as well as a beginning, signifying renewal as well as change. For I have sworn before you and Almighty God the same solemn oath our forbears prescribed nearly a century and three-quarters ago. The world is very different now. For man holds in his mortal hands the power to abolish all forms of human poverty and all forms of human life. And yet the same revolutionary beliefs for which our forebears fought are still at issue around the globe – the belief that the rights of man come not from the generosity of the state but from the hand of God. We dare not forget today that we are the heirs of that first revolution. Let the word go forth from this time and place, to friend and foe alike, that the torch has been passed to a new generation of Americans, born in this century, tempered by war, disciplined by a hard and bitter peace, proud of our ancient heritage, and unwilling to witness or permit the slow undoing of those human rights to which this nation has always been committed, and to which we are committed today at home and around the world. This much we pledge – and more. To those old allies whose cultural and spiritual origins we share, we pledge the loyalty of faithful friends. United there is little we cannot do in a host of cooperative ventures. Divided there is little we can do; for we dare not meet a powerful challenge at odds and split asunder. To those new states whom we welcome to the ranks of the free, we pledge our word that one form of colonial control shall not have passed away merely to be replaced by a far more iron tyranny. We shall not always expect to find them supporting our view. 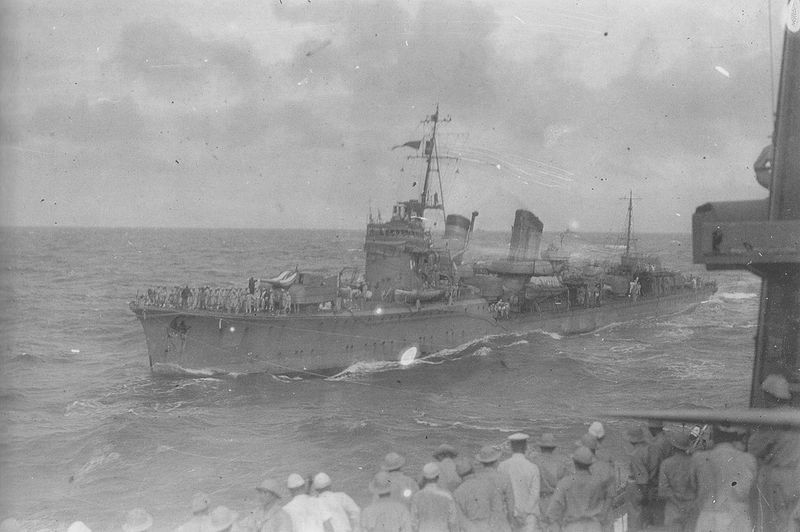 But we shall always hope to find them strongly supporting their own freedom; and to remember that, in the past, those who foolishly sought power by riding the back of the tiger ended up inside. To those people in the huts and villages of half the globe struggling to break the bonds of mass misery, we pledge our best efforts to help them help themselves, for whatever period is required – not because the communists may be doing it, not because we seek their votes, but because it is right. If a free society cannot help the many who are poor, it cannot save the few who are rich. To our sister republics south of our border, we offer a special pledge: to convert our good words into good deeds in a new alliance for progress; to assist free men and free governments in casting off the chains of poverty. But this peaceful revolution of hope cannot become the prey of hostile powers. Let all our neighbors know that we shall join with them to oppose aggression or subversion anywhere in the Americas. And let every other power know that this Hemisphere intends to remain the master of its own house. To that world assembly of sovereign states, the United Nations, our last best hope in an age where the instruments of war have far outpaced the instruments of peace, we renew our pledge of support, to prevent it from becoming merely a forum for invective, to strengthen its shield of the new and the weak, and to enlarge the area in which its writ may run. 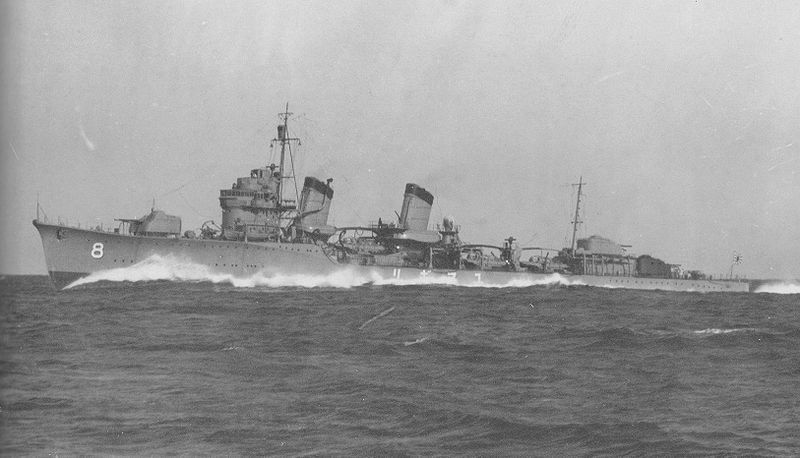 But neither can two great and powerful groups of nations take comfort from our present course – both sides overburdened by the cost of modern weapons, both rightly alarmed by the steady spread of the deadly atom, yet both racing to alter that uncertain balance of terror that stays the hand of mankind’s final war. So let us begin a new remembering on both sides that civility is not a sign of weakness, and sincerity is always subject to proof. Let us never negotiate out of fear. But let us never fear to negotiate. Let both sides, for the first time, formulate serious and precise proposals for the inspection and control of arms – and bring the absolute power to destroy other nations under the absolute control of all nations. 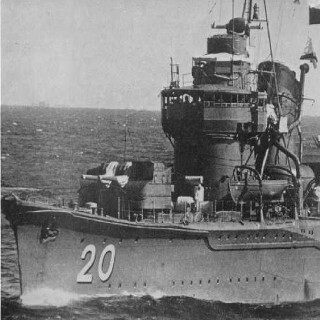 Now the trumpet summons us again; not as a call to bear arms, though arms we need; not as a call to battle, though embattled we are; but a call to bear the burden of a long twilight struggle, year in and year out, “rejoicing in hope, patient in tribulation” – a struggle against the common enemies of man: tyranny, poverty, disease and war itself. In the long history of the world, only a few generations have been granted the role of defending freedom in its hour of maximum danger. I do not shrink from this responsibility; I welcome it. I do not believe that any of us would exchange places with any other people or any other generation. The energy, the faith, the devotion which we bring to this endeavor will light our country and all who serve it – and the glow from that fire can truly light the world. I do hope that we can after a half a century finally learn something from John F Kennedy. President John F Kennedy was assassinated in Dallas Texas on a sunny November afternoon fifty-two years ago. The images of the event and its aftermath in photos and film still haunt us and find themselves etched in our individual and collective memory. The two shots that killed the President were fired by Lee Harvey Oswald according to the Warren Commission and subsequent inquiries although there are a host of conspiracy theories regarding the assassination. My purpose is not to prove or disprove the official version or any alternative explanation. I personally believe that Oswald was the lone gunman, but I have to wonder if there were others involved in the plot and at times if there was a second shooter. 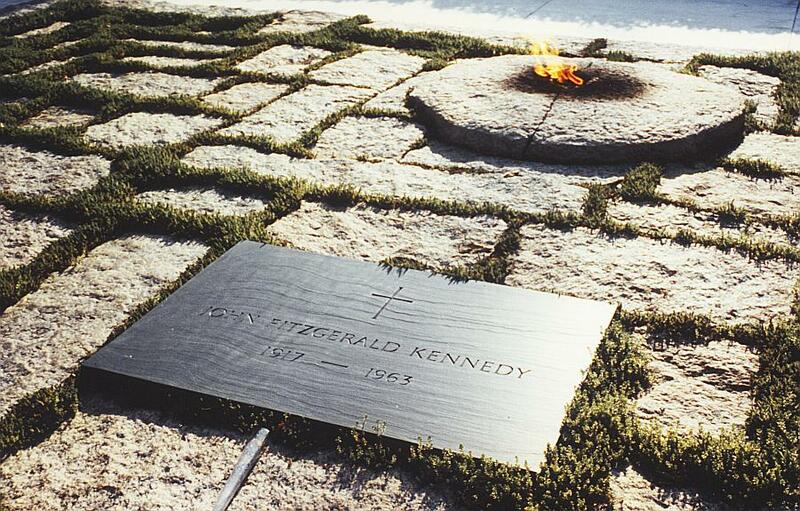 However today my purpose is to remember Kennedy’s assassination, a horrible event in the life of our nation and to reflect on how easily something similar could happen again. Kennedy was not the first President killed by an assassin. Four Presidents of the United States have died by the hand of assassins. The first was Abraham Lincoln killed by John Wilkes Booth on Good Friday 1865. That assassination carried out by a Southern sympathizer not even a week after Lee’s surrender to Grant at Appomattox stunned the nation and most likely altered the course of events after the war. The second was the assassination of James A Garfield who was shot on July 2nd 1881 by Charles Guiteau. Guiteau was a disgruntled supporter who claimed that he had been commanded by God to kill a the President who he believed to be ungrateful for his support. I find it interesting that one of our four Presidential assassins was motivated by what he believed God to be saying. During his trial he said that some important Europeans told him to do it. Garfield died on September 19th probably due to the incompetence of his doctors. Guiteau died of a broken neck, expertly administered by a hangman after dancing to the gallows waving to the assembled crowd. The third U.S. President to die at the hands of an assassin was President William McKinley who was shot by Leon Czolgosz on September 5th 1901. McKinley died on September 14th once again because of not so great medical care. In all over 20 attempts have been made on incumbent or former Presidents. Theodore Roosevelt was wounded by an attempted assassin after his Presidency and John Hinckley Junior nearly killed President Ronald Reagan on March 30th 1981. Gerald Ford had two close brushes with female assassins within 2 weeks of each other in September 1975. More recent attempts have been made on George H.W Bush, Bill Clinton and George W Bush. There have been numerous threats on the life of President Obama, and even attacks on the White House in 2013. However, Kennedy’s assassination tends to be the most talked about and studied. I believe that his assassination left a scar on the country that really hasn’t healed. I can remember the effect that his assassination as well as the subsequent killings of Martin Luther King Jr. and Robert F Kennedy had on my parents in the following years. 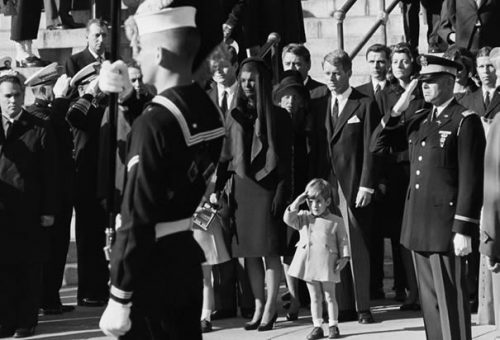 My mother recounted how she felt when she heard the news of Kennedy’s death on Armed Forces Radio while we were stationed in the Philippines. It was an event that shattered the faith and idealism of many Americans. I remember the times around the anniversary of his assassination we would watch television shows about it and the movie PT-109. While I do not have direct memories of President Kennedy’s assassination I do remember those of Dr. King and Senator Kennedy as well as the subsequent attempts on President Ford, Reagan, Bush, Clinton and Bush. John F Kennedy is one of my favorite Presidents. I know that he was a deeply flawed man and I do not gloss over his failings either as a man or some of his decisions while President. He was certainly not perfect but I still I admire him. I think one reason I admire him was his his ability to enunciate ideas that helped shape my more moderately liberal progressive pragmatism. One thing that he said is something that motivates me daily in our divided nation. 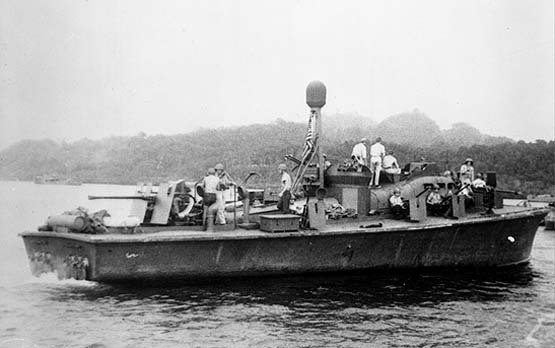 After his rescue Kennedy returned to action commanding PT-59 which though low on fuel was part of a two boat mission to evacuate Marines commanded by Lieutenant Colonel Victor Krulak from Choiseul. 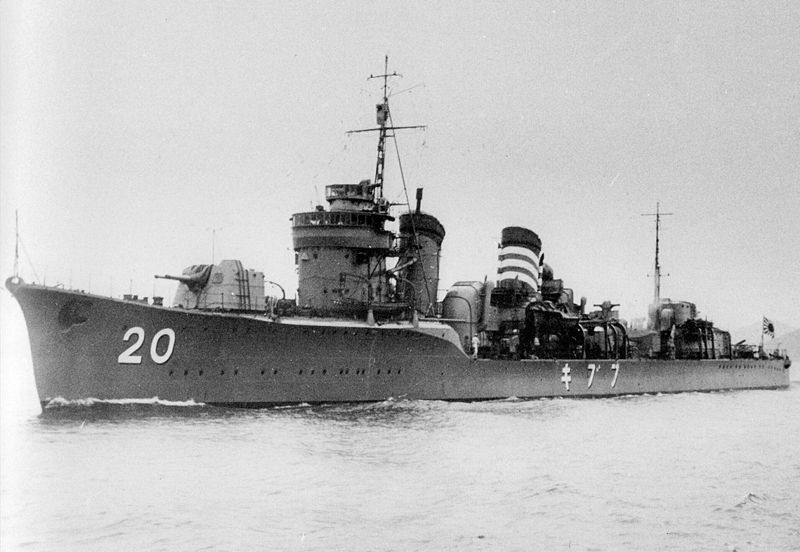 He remained in action conduction patrols and engaging Japanese forces until he was ordered to relinquish command for medical reasons on November 18th 1943 and evacuated to the United States. 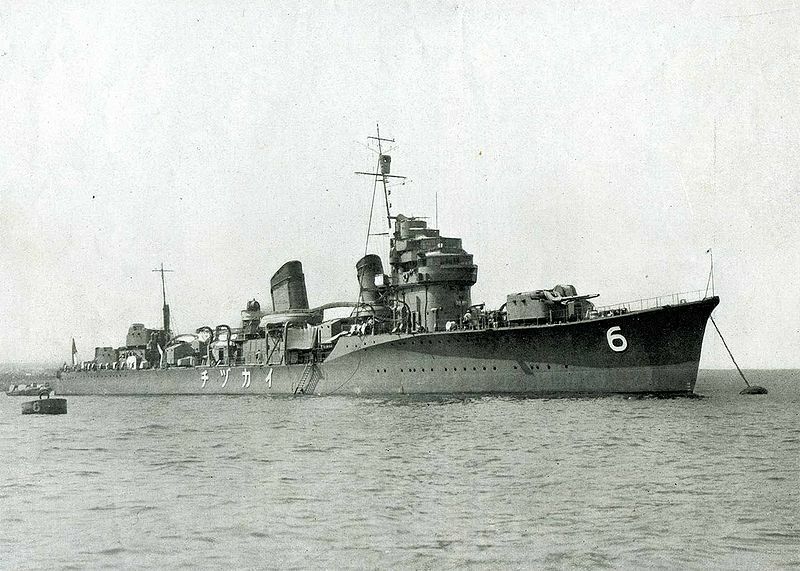 He was mentally and physically exhausted from his ordeal and had lost over 25 pounds between the sinking of PT-109 and his return to the United States. Kennedy’s speeches still inspire me. As a child a had a copy of his book Profiles in Courage. I grew up with his promise to put a man on the Moon by the end of the decade, the creation of the Peace Corps, his backing of Special Forces, his love of the Navy, the great “Ich bin ein Berliner” speech, his support of the Civil Rights movement and and his defusing of the Cuban Missile Crisis all inspire me. His inauguration speech where he said “Ask not what your country can do for you but what you can do for your country” was and still is a lot of my motivation for serving my country as a Naval Officer. When I was young John F Kennedy symbolized the hope of a country. I wonder so often what things might be like had he lived. I could be critical and point out all of John Kennedy’s flaws and contradictions. But then too easy to do, People make a living doing that. But in doing so they often ignore the fact that Kennedy was a hero, not a perfect man but a hero. I wish a quarter of our current elected officials served their country in combat as Kennedy did and understood real danger and heroism. 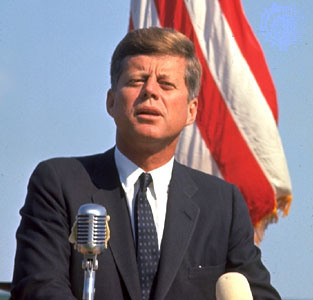 Instead with very few exceptions we have elected men as much or even more flawed and contradictory than John F Kennedy with none of his personal courage to every level of office in the country, mostly because they have the money to win. 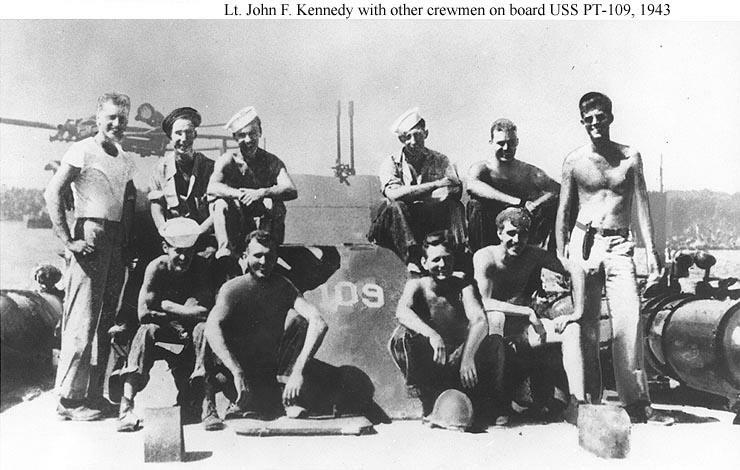 Kennedy’s wartime service always earned my respect. I tremble when I think that someone would have such a deep hatred of him or for that matter any other President that they would kill or attempt to kill them. That kind of hatred goes beyond me whether it be the hatred and smallness of John Wilkes Booth, Charles Guiteau or Leon Czolgosz. Kennedy’s assassin, Lee Harvey Oswald was a small and pathetic man who needed to be a revolutionary. Oswald needed to be important failing everything else he killed the President. Unfortunately there are people like Oswald on all sides of the political, ideological and religious spectrum who will gladly trade the life of a President or any other public figure for their moment in the spotlight and need to demonstrate their importance to the world. I fear for our country because of the intense hatred that has become part and parcel of our political landscape. The hatred toward directed toward President Obama and the many threats made against his life and person are chilling. As I looked for images for this article I found pictures of Kennedy’s body after the assassination and they shook me. I have seen far too much in the way of violent and senseless death. Thus I do pray for the safety of President Obama as well as all of our leaders and for God to protect us from ourselves and those so possessed by hatred and their own self-righteousness that they would commit such an abominable act. Fifty-three years ago a young, handsome Irish Catholic from Massachusetts took the oath of office of the President of the United States. President John F. Kennedy had won an exceptionally close Presidential Race against Republican Voce President Richard M. Nixon, a race that some believe was decided by votes of the dead in places like Chicago and West Virginia. Despite the contested nature of the election Nixon was gracious and conceded the race to avoid deeper division. 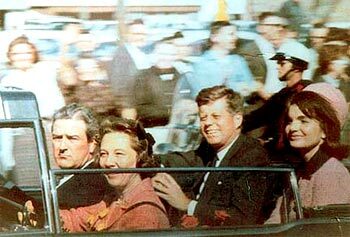 President John F Kennedy was assassinated in Dallas Texas on a sunny November afternoon 50 years ago. The images of the event and its aftermath in photos and film still haunt us and find themselves etched in our individual and collective memory. The two shots that killed the President were fired by Lee Harvey Oswald according to the Warren Commission and subsequent inquiries although there are a host of conspiracy theories regarding the assassination. My purpose is not to prove or disprove the official version or any alternative explanation. I personally believe that Oswald was the lone gunman, but I have to wonder if there were others involved in the plot and at times if there was a second shooter. In all over 20 attempts have been made on incumbent or former Presidents. Theodore Roosevelt was wounded by an attempted assassin after his Presidency and John Hinckley Junior nearly killed President Ronald Reagan on March 30th 1981. Gerald Ford had two close brushes with female assassins within 2 weeks of each other in September 1975. More recent attempts have been made on George H.W Bush, Bill Clinton and George W Bush. A man was arrested for shooting at the White House last week but President Obama was away from Washington during the attack. I remember the times around the anniversary of his assassination we would watch television shows about it and the movie PT-109. While I do not have direct memories of President Kennedy’s assassination I do remember those of Dr King and Senator Kennedy as well as the subsequent attempts on President Ford, Reagan, Bush, Clinton and Bush. I fear for our country because of the intense hatred that has become part and parcel of our political landscape. The hatred toward directed toward President Obama and the many threats made against his life and person are chilling. As I looked for images for this article I found pictures of Kennedy’s body after the assassination and they shook me. I have seen far too much in the way of violent and senseless death. Thus I do pray for the safety of President Obama as well as all of our leaders and for God to protect us from ourselves and those so possessed by hatred and their own self righteousness that they would commit such an abominable act. 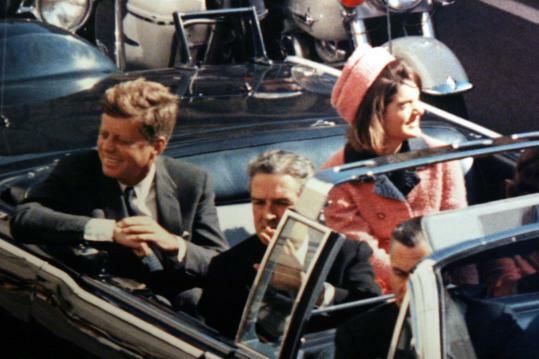 President John F Kennedy was assassinated in Dallas Texas on a sunny November afternoon 49 years ago this Thursday. The images of the event and its aftermath in photos and film still haunt us and find themselves etched in our individual and collective memory. The two shots that killed the President were fired by Lee Harvey Oswald according to the Warren Commission and subsequent inquiries although there are a host of conspiracy theories regarding the assassination. My purpose is not to prove or disprove the official version or any alternative explanation although I personally believe that Oswald was the lone gunman. 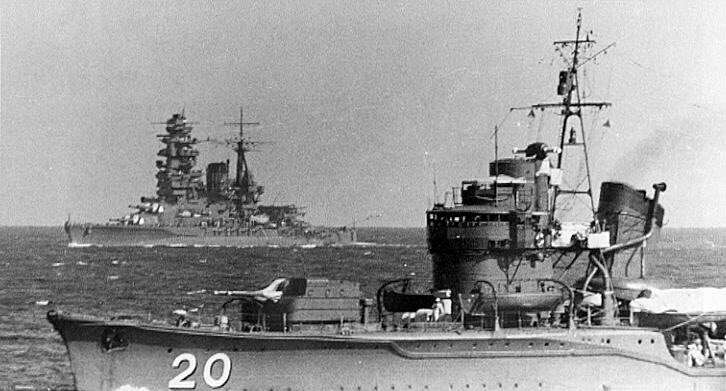 It is merely to remember a horrible event in the life of our nation and how easily it could happen again. Kennedy was not the first President killed by an assassin. Four Presidents of the United States have died by the hand of assassins. The first was Abraham Lincoln killed by John Wilkes Booth on Good Friday 1865. The next was James A Garfield who was shot on July 2nd 1881 by Charles Guiteau a disgruntled supporter who claimed that he had been commanded by God to kill a the President who he believed to be ungrateful for his support. Garfield died on September 19th probably due to the incompetence of his doctors. The third was William McKinley who was shot by Leon Czolgosz on September 6th 1901. McKinley died on September 14th. Over 20 other attempts have been made on incumbent or former Presidents of which one wounded Theodore Roosevelt after his Presidency and another which nearly killed President Ronald Reagan on March 30th 1981. Gerald Ford had two close brushes with female assassins within 2 weeks of each other in September 1975. More recent attempts have been made on George H.W Bush, Bill Clinton and George W Bush. A man was arrested for shooting at the White House last week but President Obama was away from Washington during the attack. However Kennedy’s assassination tends to be the most talked about and studied and has left a scar on the country that really hasn’t healed. I can remember the effect that it as well as the subsequent killings of Martin Luther King Jr. and Robert F Kennedy had on my parents in the following years. My mother recounted how she felt when she heard the news of Kennedy’s death on Armed Forces Radio while we were stationed in the Philippines. I remember the times around the anniversary of his assassination we would watch television shows about it and the movie PT-109. While I do not have direct memories of President Kennedy’s assassination I do remember those of Dr King and Senator Kennedy as well as the subsequent attempts on President Ford, Reagan, Bush, Clinton and Bush. I could be critical and point out all of John Kennedy’s flaws and contradictions. But then too easy to do. People make a living doing that. People often forget that Kennedy was a hero, not perfect but a hero. 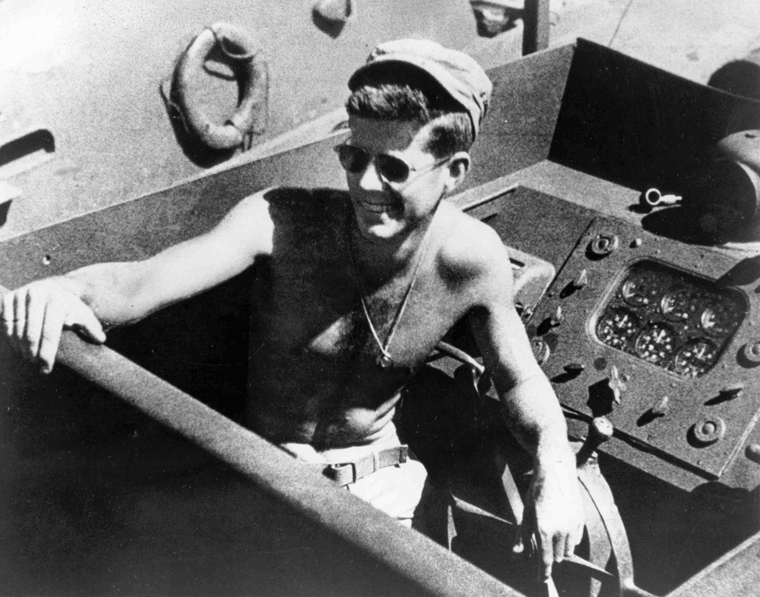 I wish a quarter of our current elected officials served their country in combat as Kennedy did and understood what real danger and heroism is. Instead with very few exceptions we have elected men as much or even more flawed and contradictory than John F Kennedy with none of his personal courage. 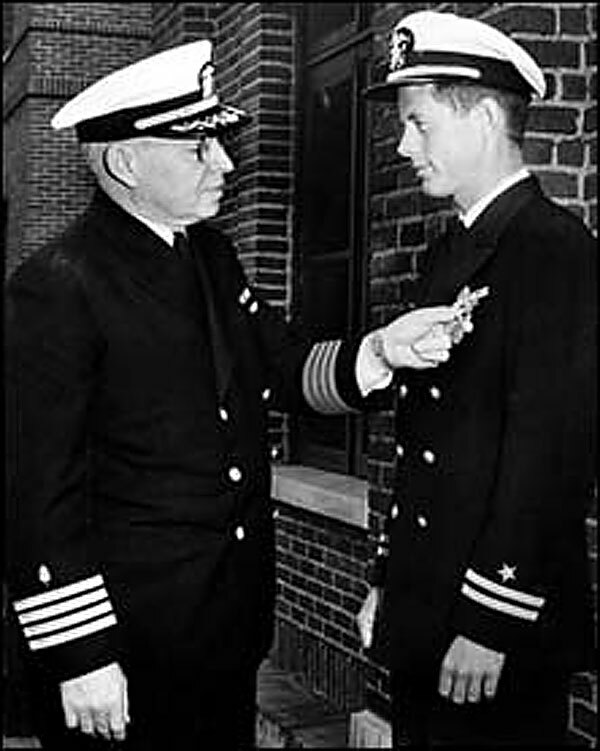 Kennedy’s wartime service always earned him my respect. I tremble when I think that someone would have such a deep hatred of him or for that matter any other President that they would kill or attempt to kill them. That kind of hatred goes beyond me. Lee Harvey Oswald was a small and pathetic man who needed to be a revolutionary, who needed to be important failing everything else he killed the President. Unfortunately there are people like Oswald on all sides of the political, ideological and religious spectrum who will gladly trade the life of a President or any other public figure for their moment in the spotlight and need to demonstrate their importance to the world. 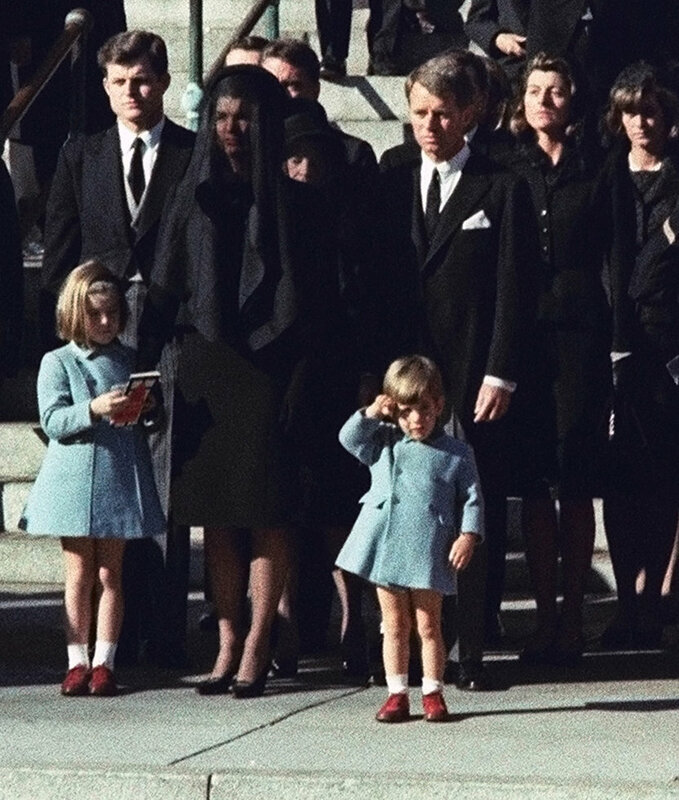 It is hard to believe that it has been 48 years since President John F Kennedy was assassinated in Dallas Texas on a sunny November afternoon. The two shots that killed the President were fired by Lee Harvey Oswald according to the Warren Commission and subsequent inquiries although there are a host of conspiracy theories regarding the assassination. My purpose is not to prove or disprove the official version or any alternative explanation although I personally believe that Oswald was the lone gunman. It is merely to remember a horrible event in the life of our nation and how easily it could happen again. His speeches still inspire me and as a child a had a copy of his book Profiles in Courage . I grew up with his promise to put a man on the Moon by the end of the decade, the creation of the Peace Corps, his backing of Special Forces, his love of the Navy, the great “Ich bin ein Berliner” speech, his support of the Civil Rights movement and and his defusing of the Cuban Missile Crisis all inspire me. His inauguration speech where he said “Ask not what your country can do for you but what you can do for your country” was and still is a lot of my motivation for serving in the Navy. John F Kennedy symbolized to me as a young person the hope of a country that had he lived might be different today. I could be critical and point out all of John Kennedy’s flaws and contradictions. But then too easy to do. People make a living doing that. People often forget that Kennedy was a hero, not perfect but a hero. I wish a quarter of our current elected officials served their country in combat as Kennedy did and understood what real danger and heroism is. 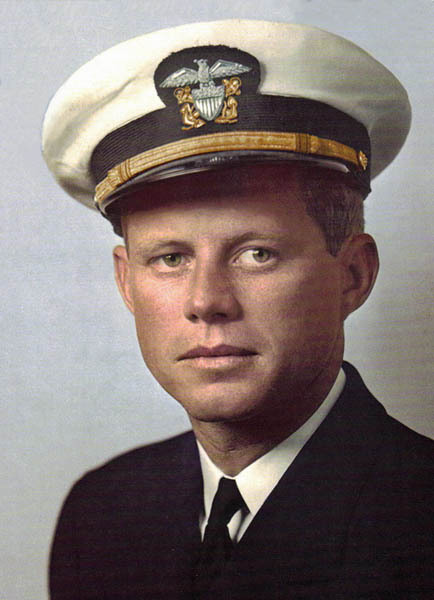 Instead with very few exceptions we have elected men as flawed and contradictory as John F Kennedy with none of the personal courage the vast bulk who would happily order soldiers to their death but have no earthy clue about the dangers of war and the sacrifice involved. That John F Kennedy understood. That earns my respect. I tremble when I think that someone would have such a deep hatred of him or for that matter any other President that they would kill or attempt to kill them. That kind of hatred goes beyond me. Lee Harvey Oswald was a small and pathetic man who needed to be a revolutionary, who needed to be important failing everything else he killed the President. Unfortunately there are people like Oswald on all sides of the political, ideological and religious spectrum who will gladly trade the life of a President or any other public figure for their moment in the spotlight and need to demonstrate their importance to the world. I fear for our country because of the intense hatred that has become part and parcel of our political landscape. The hatred is almost palpable and while much is directed at President Obama because he is the incumbent President his successor if a Republican would likely have similar hatred directed at him just from different people. Thus I do pray for the safety of our leaders and for God to protect us from ourselves. While I do so I remember the President whose life was cut short by the bullets fired by Lee Harvey Oswald.